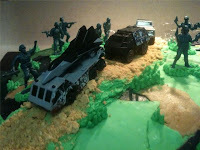 This is the latest cake I made for a friend of a friend. 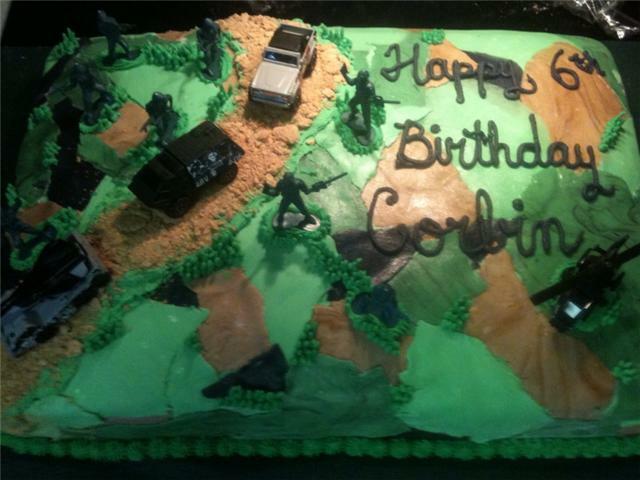 It is a camo cake. This is my first "boy" cake. It was kinda challenging to come up with an idea on how I would go about making a camo cake. It turned out pretty good. I do have to say this is not my best cake. It is a white cake with green marbling in the cake. 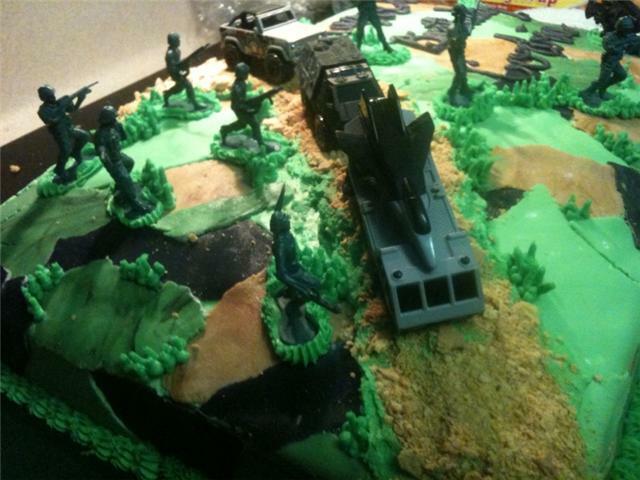 It has green icing filling. 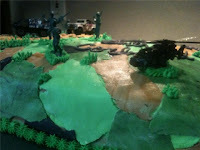 I iced it with the same green filling then used several colors of fondant to make it camofloagged (sp?). 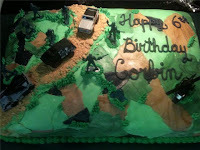 I just "tore" the fondant up then placed it on the cake. All the toys used are from Big Lots.